Hard to describe the feeling of being in the asylum center for people who had been forced to leave their homes for seeking security for themselves and their families. In Latvia most of the refugees are families with small children. Visit to the asylum seeker center was done to talk to people and get their feedback. Team of volunteers decided to make a questionnaire for the inhabitants of Mucenieki center about the possible workshops at the center. Informal chats with the people were very fruitful and gave the real insight of the everyday life there. 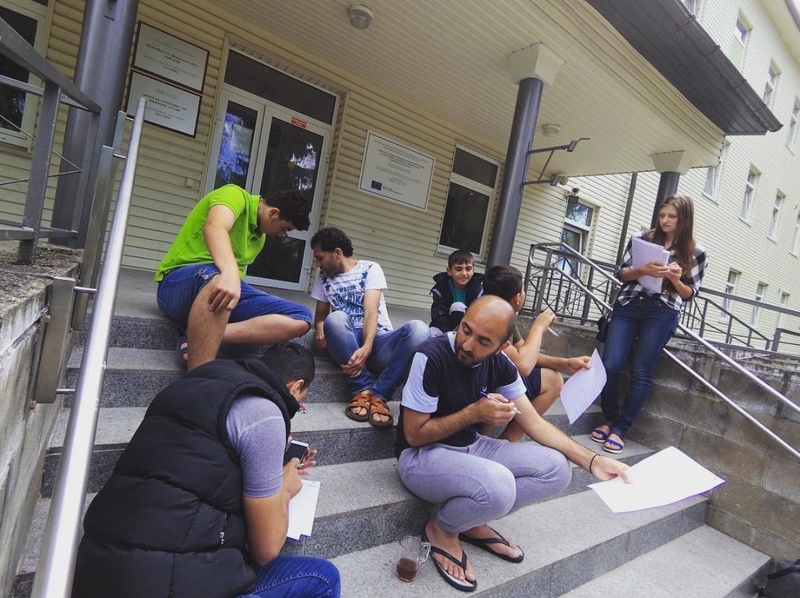 The information that was gathered will ensure better communication with the asylum seekers and possible cooperation in various creative workshops and common nonformal events during the pilotprogramme.